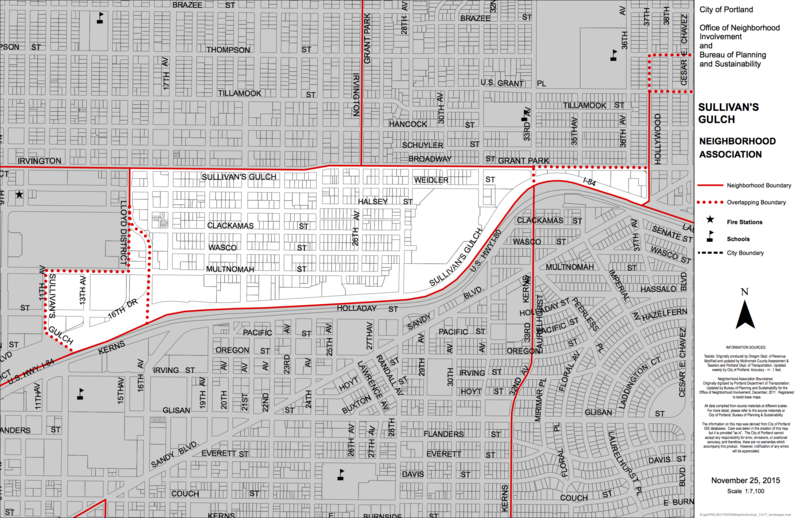 ​The Sullivan’s Gulch Neighborhood Association serves to do the work of the neighborhood. We value a strong community and are committed to supporting our neighbors. Sullivan’s Gulch is a neighborhood in Northeast Portland, Oregon. The name commemorates Timothy Sullivan, an early farmer in the area. Sullivan settled his donation land claim on January 27, 1851. The entire Sullivan’s Gulch community is welcome! Find details for each event under Announcements on this page. ​Marc Jolin: Held at the SGNA General meeting, May 16, 2017. New addition to Our Local Business Directory: Northeast Village PDX Now Serving Sullivan’s Gulch: Sullivan’s Gulch seniors who love their neighborhood and want to age in their own homes will want to check out Northeast Village PDX. This “virtual village” is now offering memberships to seniors in a number of northeast Portland neighborhoods. ​Introducing the Sullivan’s Gulch Neighborhood Emergency Team: Who we are and how you can help. NET Update: Current planning and activities of your Sullivan‘s Gulch Neighborhood Emergency Team. Click to read each announcement below. SOLV It for Earth Day, APRIL 21, 10AM. Help Clean Up Our Neighborhood! Earth Day is a good day to give Mother Nature a helping hand and beautify the neighborhood. 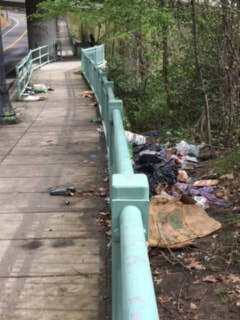 On the wooded slopes of Sullivan’s Gulch, particularly on the underpass behind Lloyd Cinemas. Meet at 10 am at the mini-plaza at NE 16th and Multnomah on Saturday, April 21st. We’ll fan out to clean up different areas of the neighborhood. We’ll provide bags, safety vests, extension grabbers and sharps containers for any needles that are found. Spring Neighborhood Clean Up IS MAY 12. Are you prepared for a major emergency or disaster in our area? ​The Sullivan’s Gulch NET is currently surveying residents and businesses in our neighborhood regarding emergency preparedness. The survey takes 5 minutes or less to complete and the data we receive from each neighbor or business is crucial for us to prepare our team and the neighborhood to respond effectively to any disaster that may occur. Your answers will help our NET understand your needs, your current preparation for a disaster, and your interest in working with our team to prepare for and respond to a disaster that may affect our neighborhood.